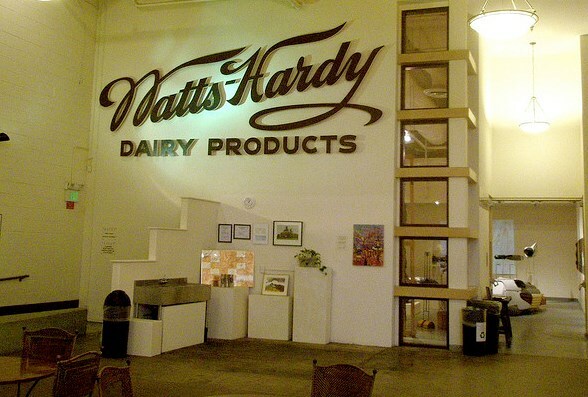 The Dairy Center for the Arts, located in a former milk processing plant, is a non-profit cultural arts center founded in 1992. Here visitors can experience dramatic theater, comedy, live music, film, dance performances and visual arts under one roof. The Dairy is home to 15 resident arts organizations and its venues include the 60-seat Boedecker Theater, an arts cinema, a 250-seat Performance Space, two smaller black box theaters and several galleries. Its resident organizations also use spaces for offices, rehearsals and lessons. More than 160,000 people a year visit the Dairy for performances, classes or lessons. The building is considered a nationally recognized example of the adaptive reuse of industrial space.